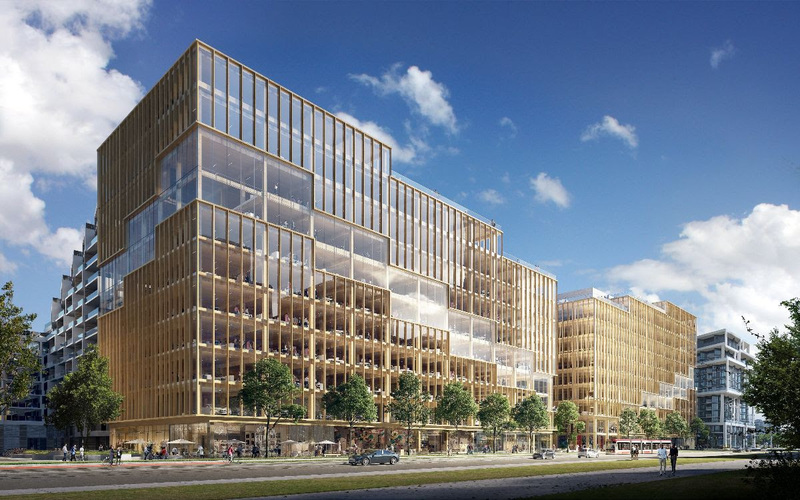 Danish studio 3XN has revealed renderings of its latest addition to the Toronto waterfront, a 10-story timber office tower. 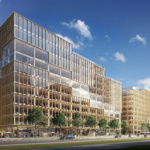 Once complete, T3 Bayside will be not only the third 3XN tower to spring up in Bayside but also the tallest timber office building in all of North America. 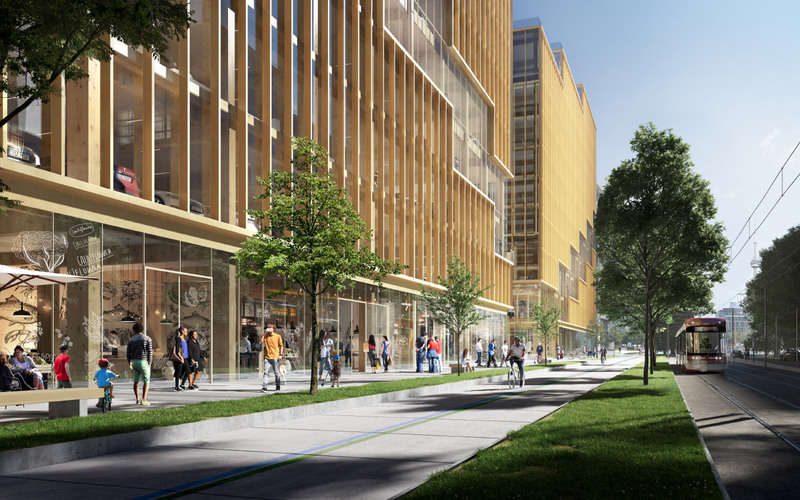 The 138-foot-tall office building is being developed by the international firm Hines and will provide office space for the 2,000-acre Bayside redevelopment (not to be confused with Sidewalk Labs’ nearby “Quayside” project). T3 Bayside, and its adjoining plaza, will join 3XN’s two nearby residential towers, and according to the developer, the development is expected to cement Bayside’s status as a live-work neighborhood. 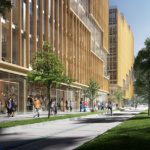 Using cross-laminated timber (CLT) for the tower’s frame allowed 3XN to reduce both projected construction costs as well as the building’s embodied energy. 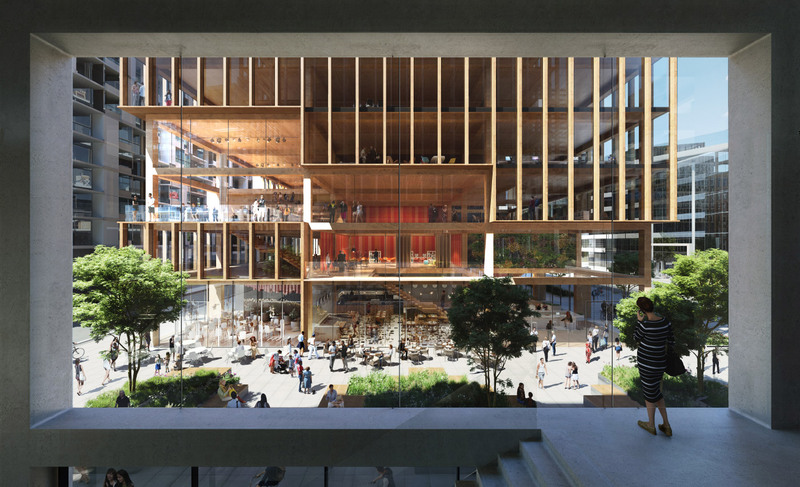 The structural timber will be left exposed inside, creating a warm interior that, according to 3XN, will also regulate the indoor humidity as the wood absorbs and releases moisture. 3XN has wrapped the building in vertically-oriented exterior louvers, that are partially interrupted to create a stair-like pattern of terraces across the facade—a design flourish that’s becoming increasingly common among office buildings. T3 Bayside is expected to welcome up to 3,000 tenants across a variety of coworking and community spaces, and flexibility was a major design driver. 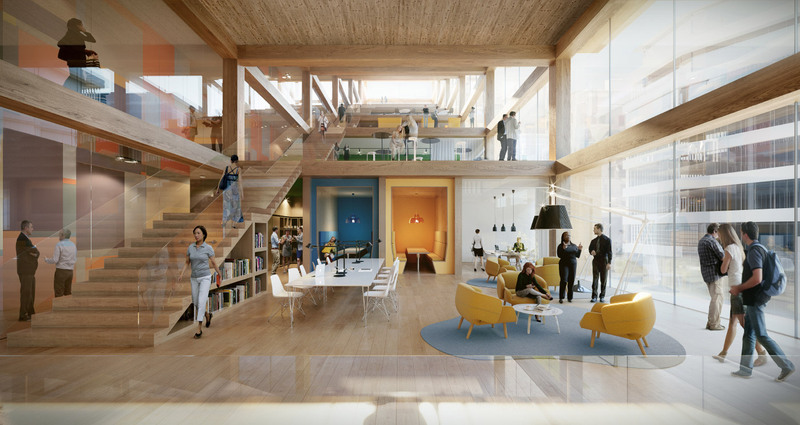 Double-height adjustable spaces that directly connect to the lobby, event and community spaces, more traditional offices, and communal “social” zones will all be mixed. From the renderings, it appears that T3 Bayside will also integrate parking on its second floor. 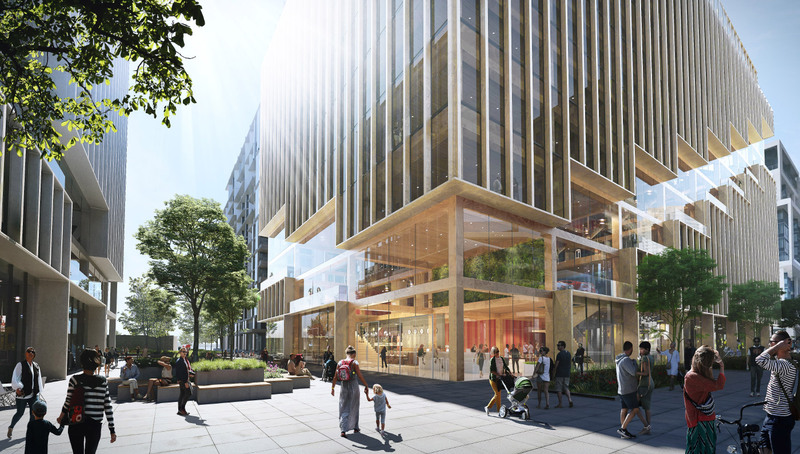 A new plaza at the tower’s base will connect cafes, lobbies, exhibition and gallery spaces, and retail at T3 Bayside’s base with the larger Bayside development. 3XN hopes that by activating the ground-level, the design can lead visitors to the waterfront promenade along Lake Ontario. No estimated completion date or budget for the project have been released as of yet.